Fatima Sana Shaikh says it used to affect her but now she has made peace with it. 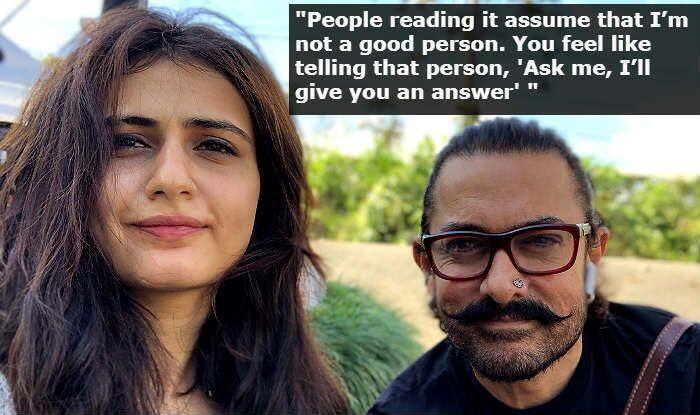 Actor Fatima Sana Shaikh says that people writing about her link-up rumours with actor Aamir Khan know nothing about her life and although it doesn’t affect her a lot, they are not right. She was talking in her latest interview with an entertainment portal when she opened up on the rumours. On the work front, the actor is reportedly a part of Saare Jahan Se Achcha, a biopic on the life of astronaut Rakesh Sharma. The official announcement about the cast is yet to be made but speculations are rife that Vicky Kaushal, Kareena Kapoor Khan and Fatima Sana Shaikh will be seen in important roles in the film.